If you are buying a home, you debts will keep piling up. Contact a Salt Lake City bankruptcy attorney to help you dealing with debt. Contact 8015059679. When you tie the knot your life becomes another’s in so many ways. Besides your family, pets, furniture, and Xbox 360, you may also start sharing your debt and become responsible for your spouse’s debt. Unfortunately, about 7 in 10 American couples exchange vows with debt. The first years of marriage are particularly trying as you will have wedding and honeymoon debts as well. Also, if you are buying a home, you debts will keep piling up. Contact a Salt Lake City bankruptcy attorney to help you consolidate your debt. When you get married your credit histories are still separate but any debt you accrue while married becomes joint debt in some states. So if your spouse loves spending you may become an accomplice. Utah is a common law state, which means you are only responsible for debt in your name. Some states have what’s called community property, which means there is a 50/50 division. Many people don’t like talking about money. Although handling your finances can be a bit stressful, it’s important you do so, even more if one of you has a lot of debt. Honesty is the most important factor when dealing with such turbulent scenarios. Be open with your spouse and correct the situation. 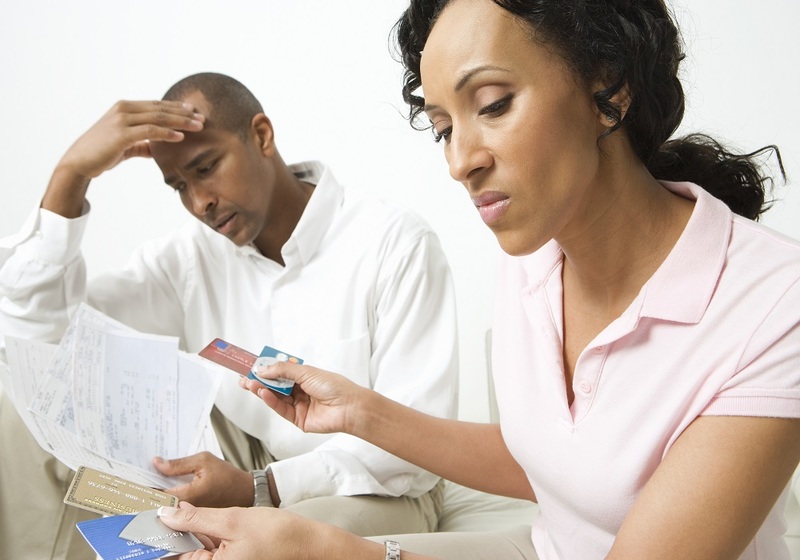 If your spouse has debt, be understanding and work it out together. Remember money comes and goes but the person that loves you will always stick with you no matter what. Avoid making large purchases together and apply for a credit card on your own. You don’t need to have joint credit. Also, if you apply for a loan together chances are the interest rate will be higher. Communication – This is key to the longevity of any relationship. Over 50% of couples don’t spend quality time together and don’t set aside time to speak about financial problems. Think before talking – Some things you say may come across as rude. Don’t talk when you are angry but rather take time to calm down and then speak. Honesty – It’s very common for couples to hide things they buy from each other. It’s okay to share these things with your spouse and become responsible. After all, you will both benefit from financial stability. Disagreements – These are natural in every marriage. It’s important you are on the same page, even when debt means something different to each of you. Teammates – Remember you and your spouse are a team. You can team up by creating a realistic budget and stick to it. Nobody said consolidating your debt will be easy but it can be possible with the help of an experienced Salt Lake City bankruptcy attorney. Contact us today and schedule your initial consultation. We specialize in debt settlement.